Stock status is current as of 4/21/2019 12:59 AMET. 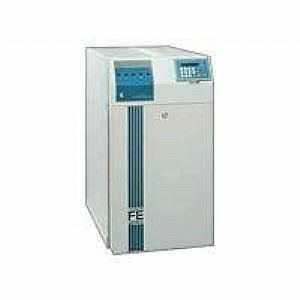 FERRUPS uninterruptible power systems furnish unmatched reliability in configurable power protection for computers and telecommunications equipment. Patented ferroresonant technology delivers "bulletproof" power protection, overcoming spikes, sags, surges, brownout, noise, switching transients, and harmonic distortions. Extensive configurability and customization options make FERRUPS the ideal power protection solution with a wide range of voltages, frequencies, runtimes, power cords, and receptacles. FERRUPS prevents the backfeed of harmonic currents into building wiring which can disrupt computer operations. Redundant power paths assure high fault-tolerance and optimum uptime. Galvanic isolation separates input from output, filtering line noise and surges. FERRUPS also features precision voltage regulation with no battery discharge down to 38% below nominal and over 80 user-programmable diagnostic and communications functions.